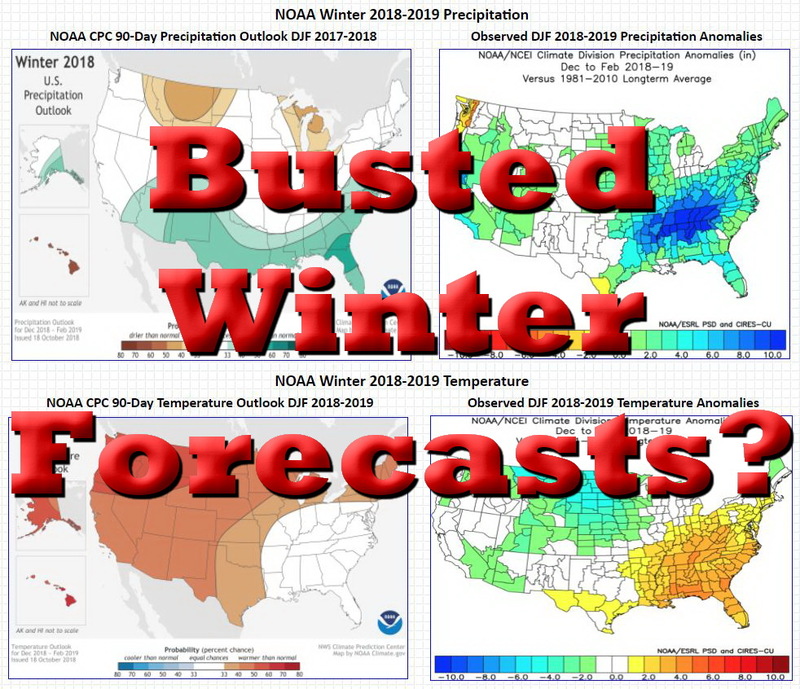 Comparison of the 2018-2019 Winter Outlooks to Reality? 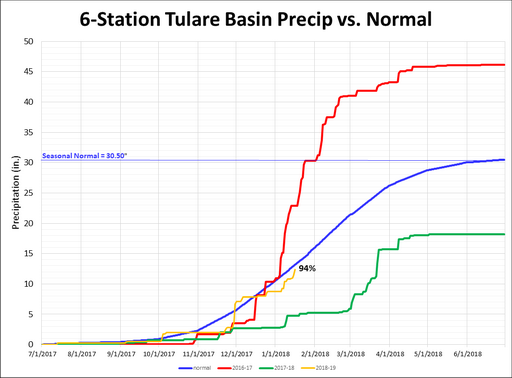 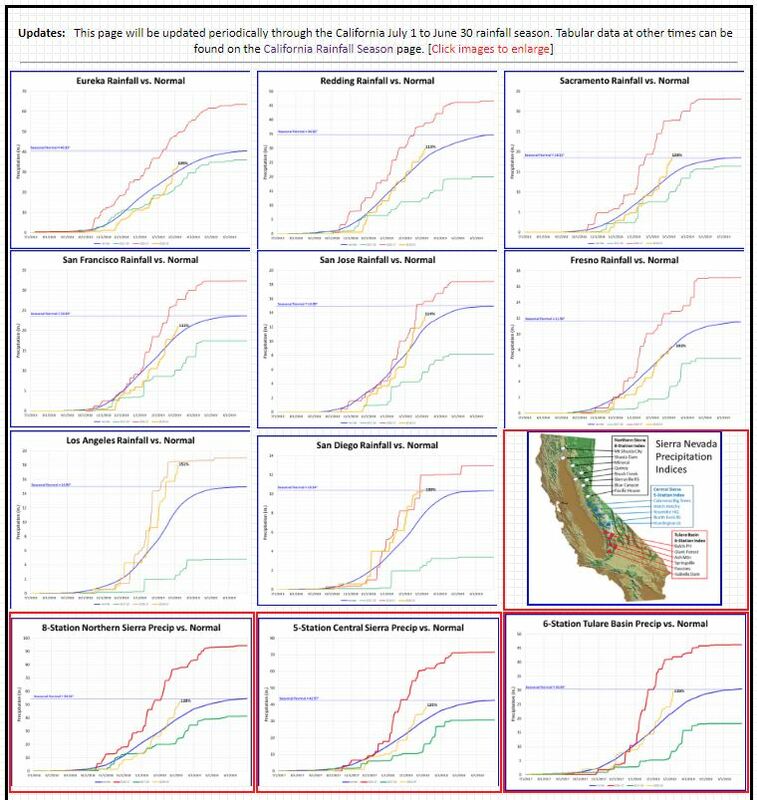 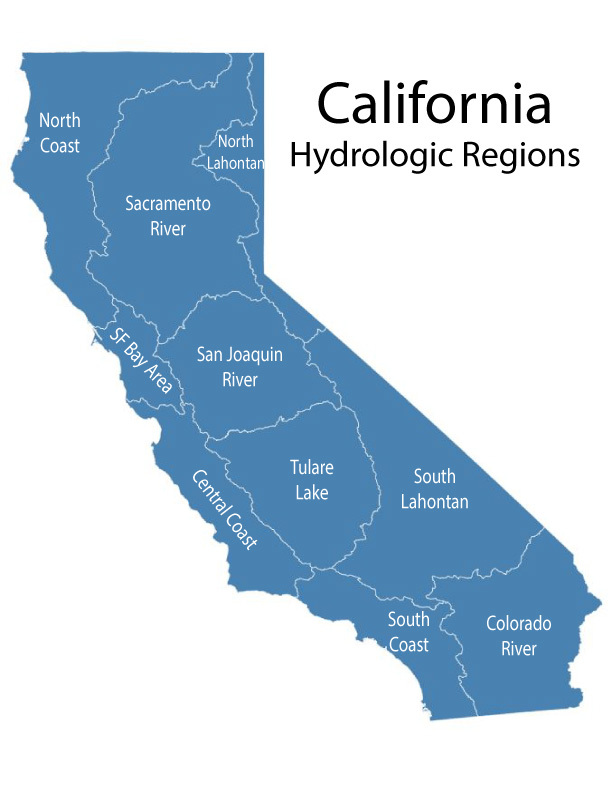 It's should be no surprise that abundant rainfall this season has translated into a pretty bright picture for water supplies across the Golden State. 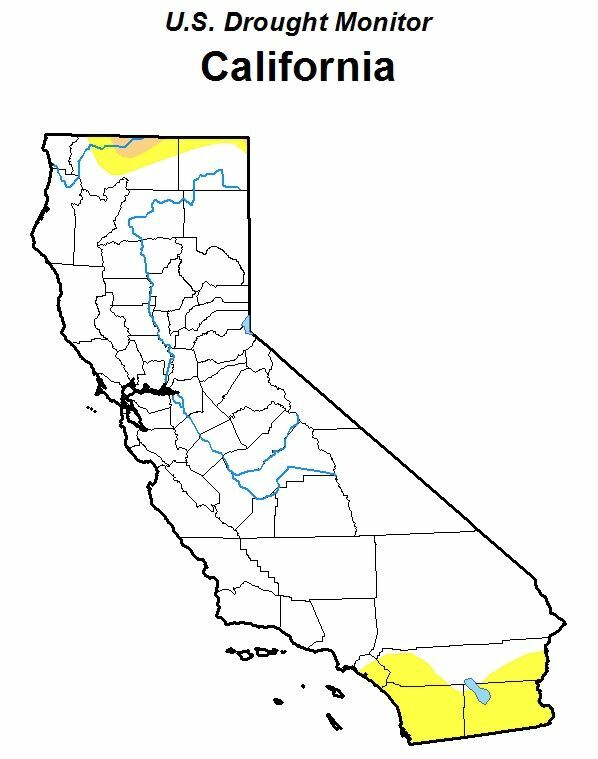 The latest Drought Monitor shows California with its least amount of drought-impacted area since 2011. 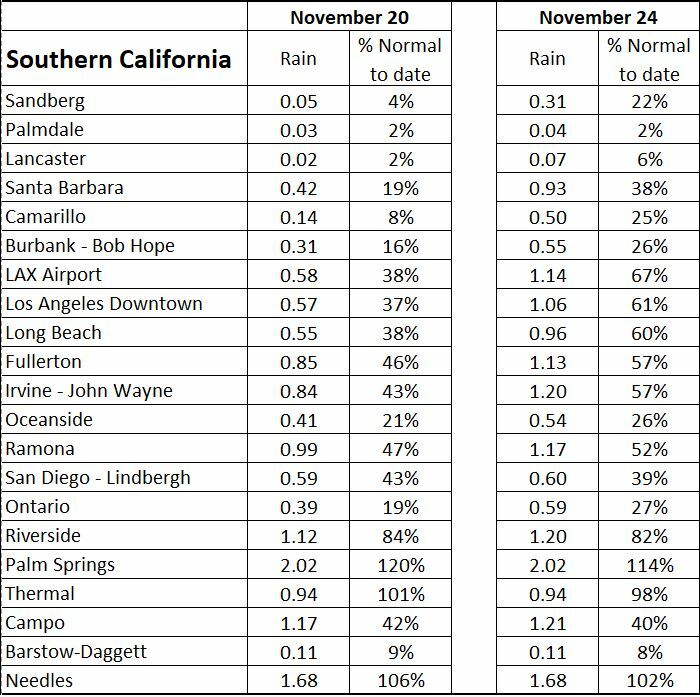 With only 0.60% in the Moderate Drought category (D1) and 9.56% in D0 (Abnormally Dry), California is at its most drought free since 8-30-2011. 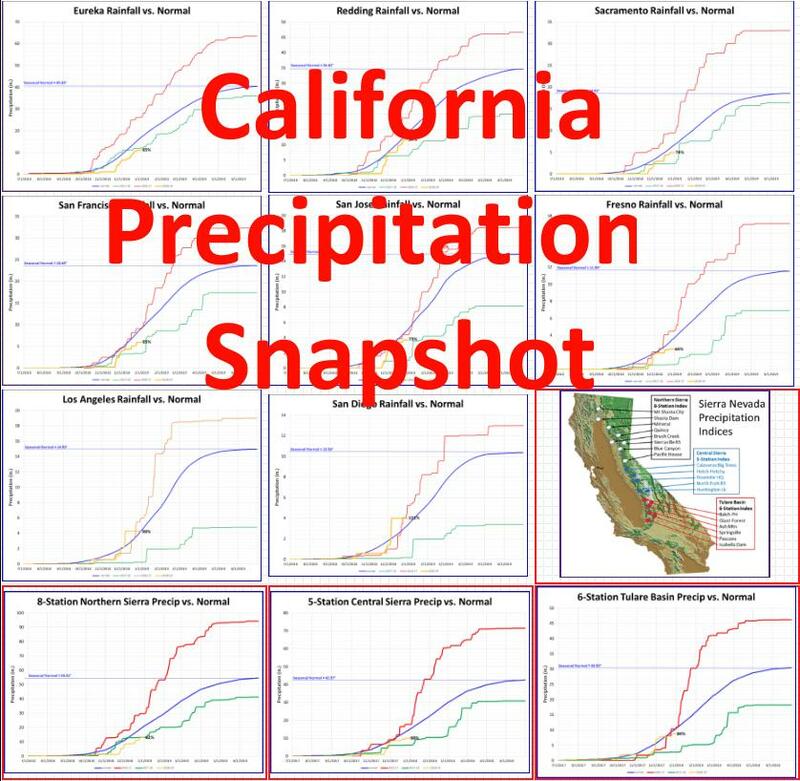 The latest California Precipitation Snapshot shows rainfall already approaching or above normals for the entire is rainfall season (July 1 to June 30). 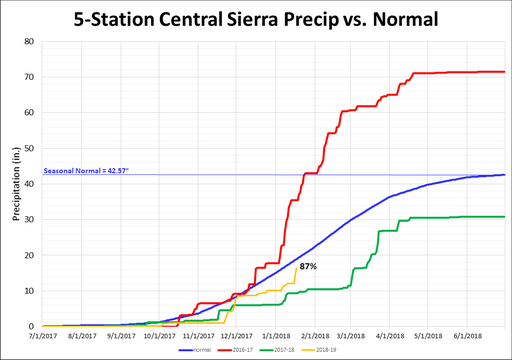 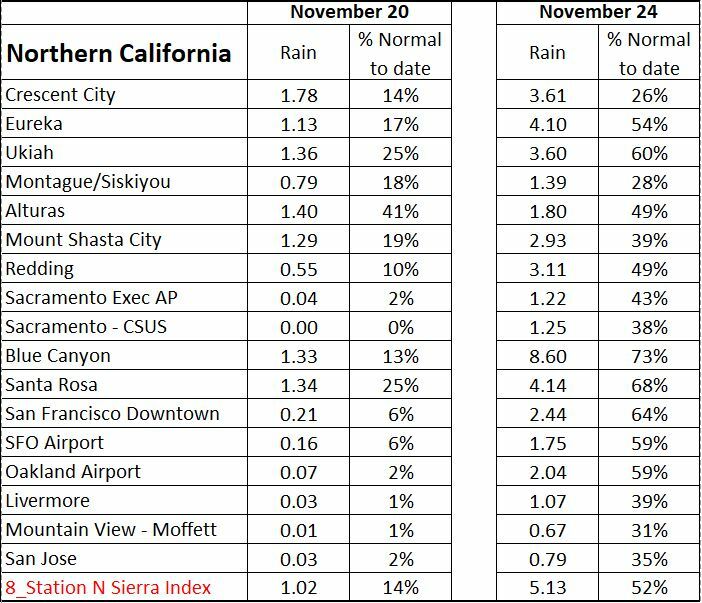 Of particular note is the 8-Station Northern Sierra Index, with state's largest reservoirs, which is now at 128% of normal and just 2.33" shy of their seasonal normal of 54.52". 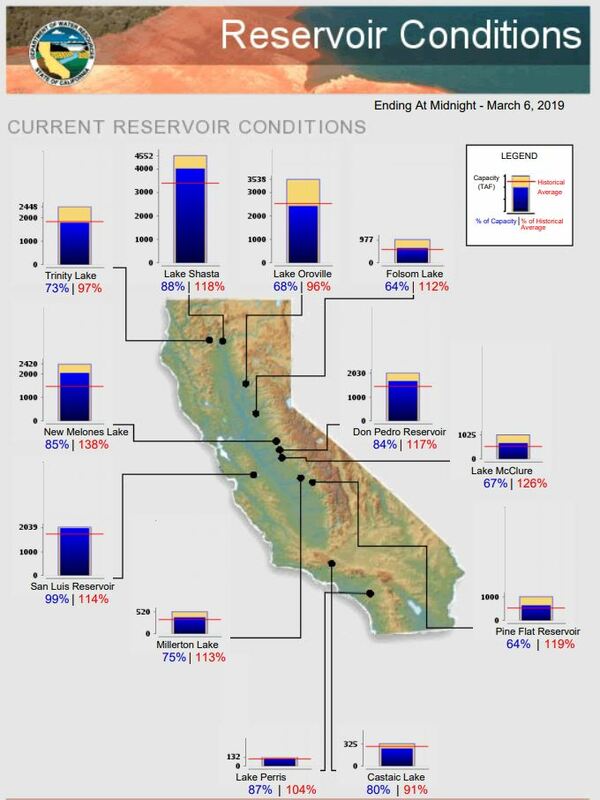 And all of the above translates into California reservoir levels close to or exceeding historical averages for this time of year. 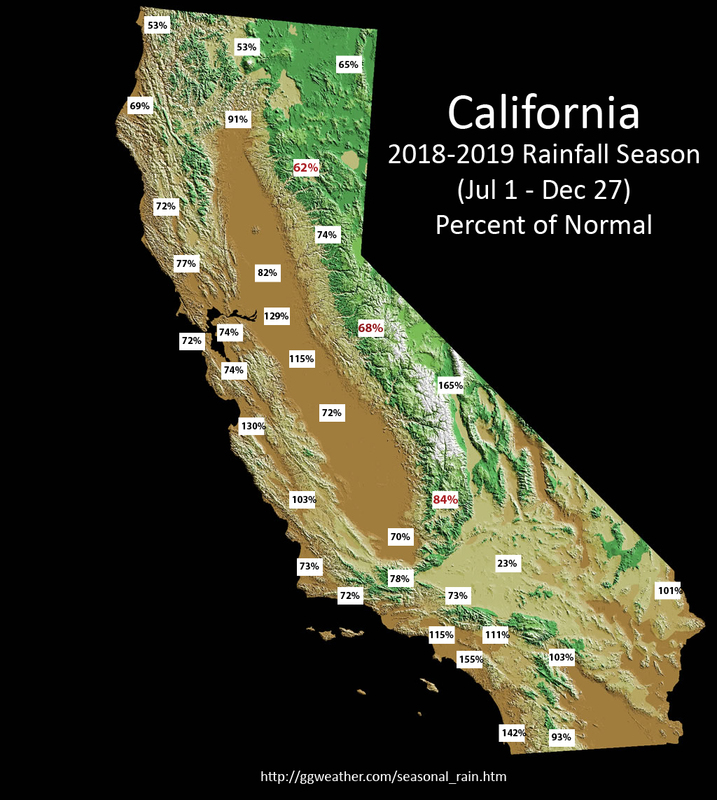 With no rain in the forecast through the end of the year, here are some updates on where California stands precipitation-wise. 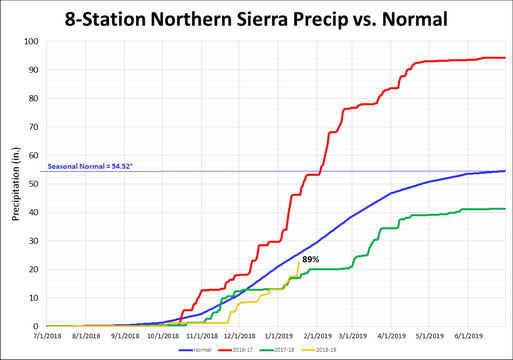 Most of the state north of the Tehachapis is about 75% of normal, while to the south it is averaging from near to slightly above normal. 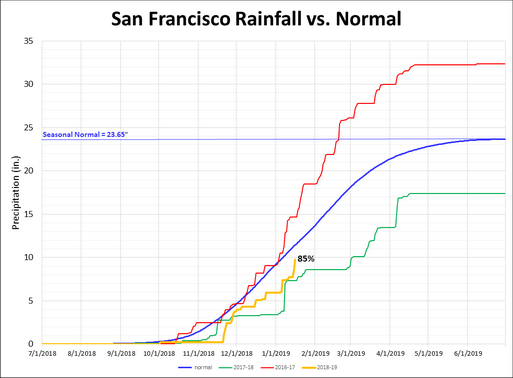 Through Dec 31, San Francisco will be at 5.95 inches or 65% of normal. 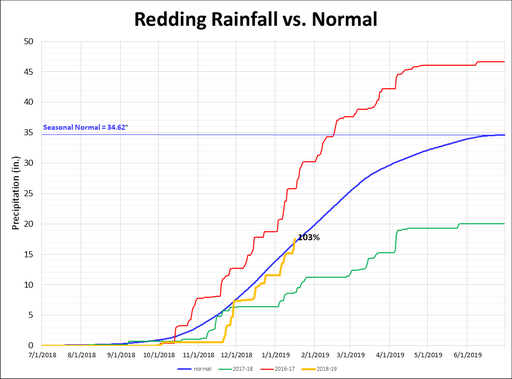 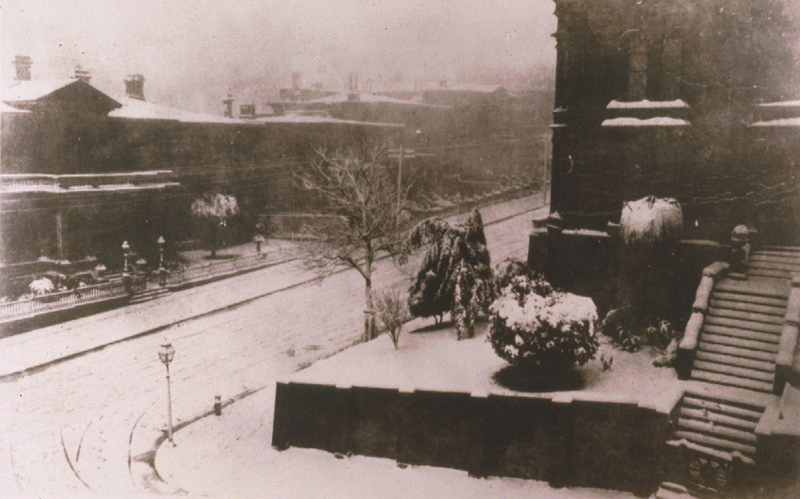 This is the 63rd driest out of the 170 seasons dating back to 1849. 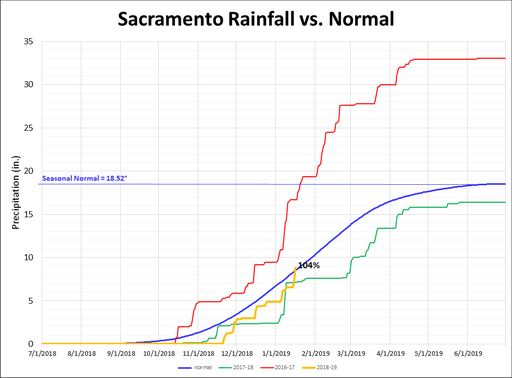 Looking at the 30 seasons that had this value plus/minus an inch, the corresponding end of the rainfall season (Jul 1 through Jun 30) totals ranged from 11.06" to 27.86". 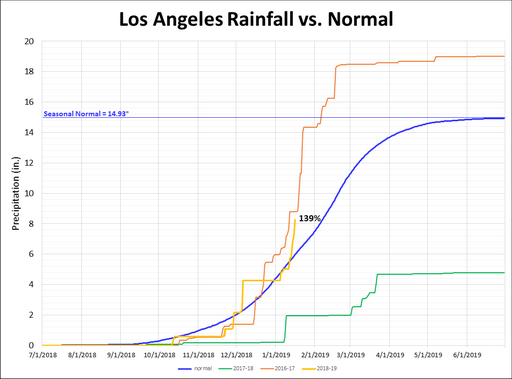 This breaks down further with 6 seasons at < 60% of normal, 11 seasons at 61-80% of normal, 8 seasons at 81-100% and 5 seasons in the 100 to 120 percent of normal. 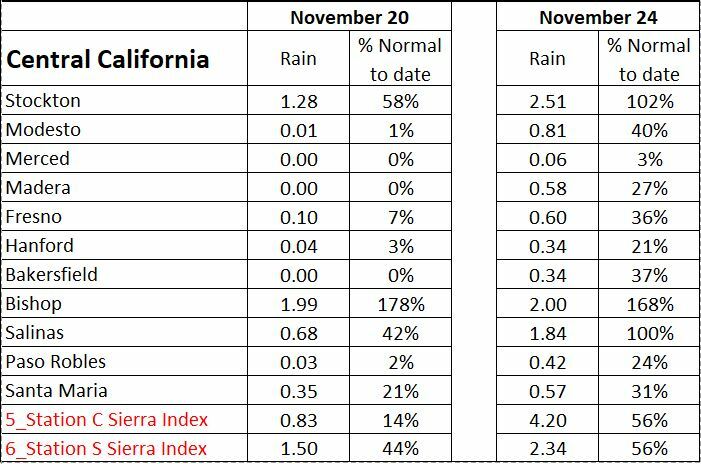 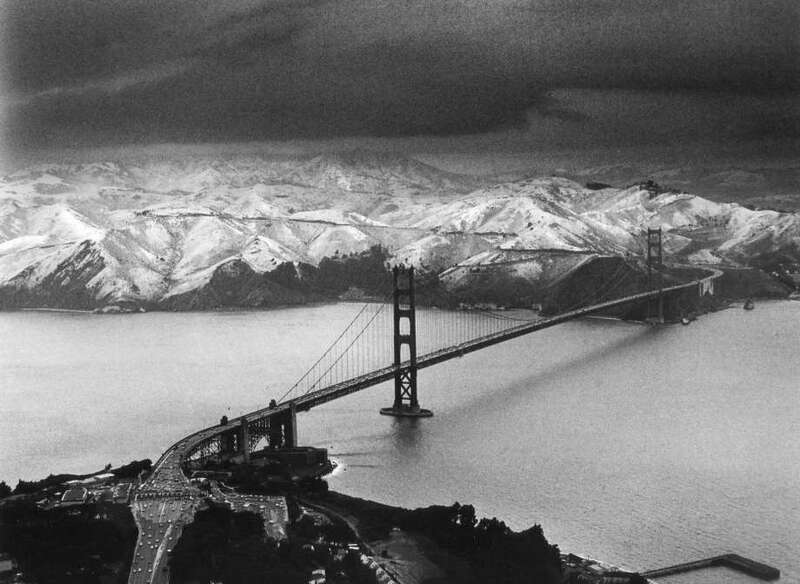 A dry start to the SF rainfall season; What does it mean? 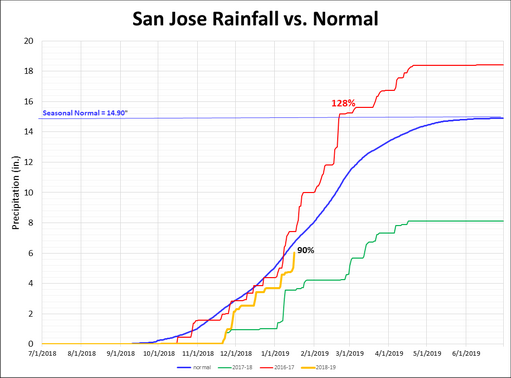 So far, the 2018-2019 rainfall season has been pretty dry, with only 0.21” having fallen in downtown San Francisco. 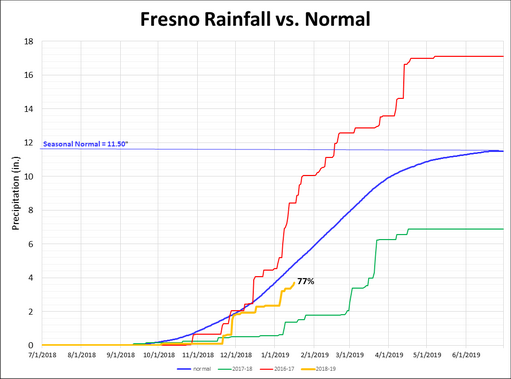 But it is far from the driest, with 26, out of 169 previous July 1st to October 31st totals having lesser amounts. 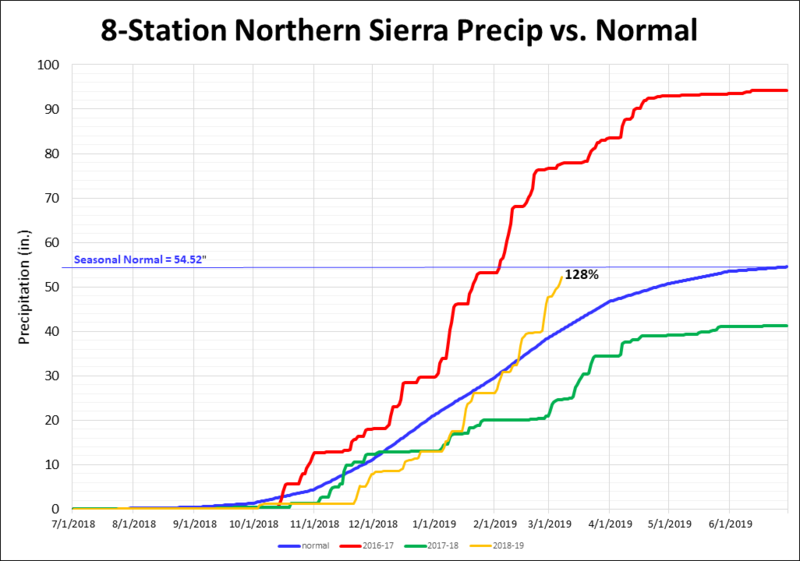 7 (15%) of the seasons finished with more than 120% of normal. 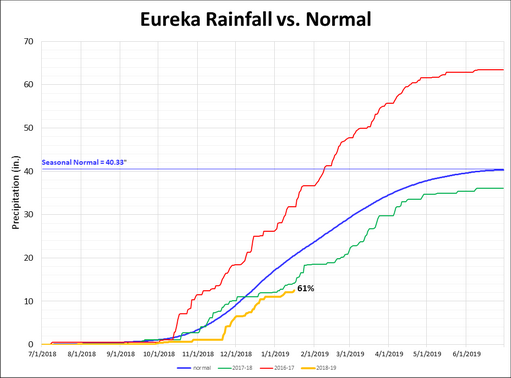 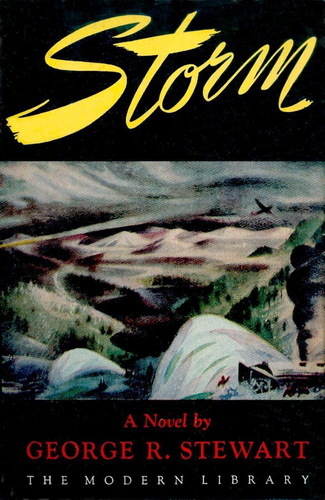 It is interesting to note that both San Francisco’s all-time driest and wettest seasons began dry. 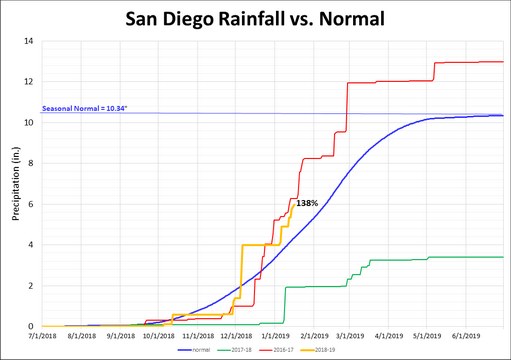 The driest was 1850-1851 with a July to October total of 0.33” and a final seasonal total of just 7.42”. 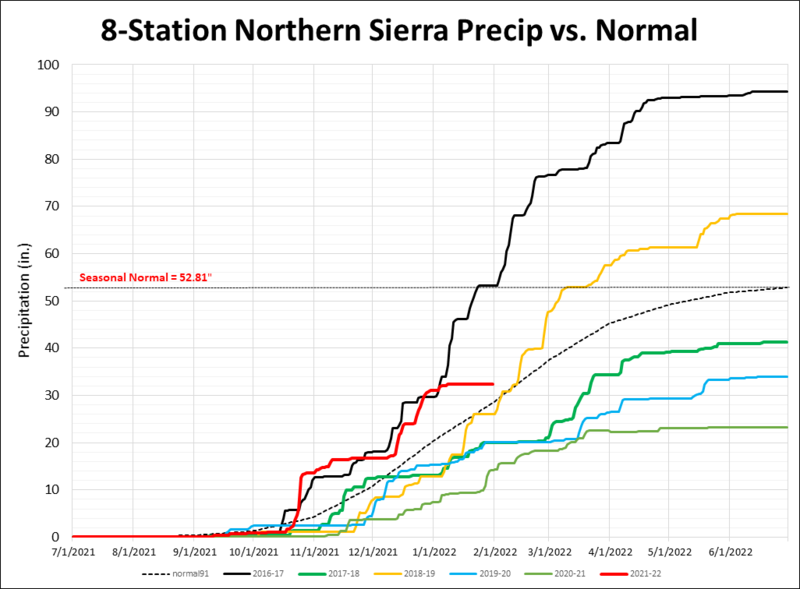 Conversely, 1861-1862, after having only 0.02” through October, finished with a fantastic (except for the flooding) record season of 49.27”. 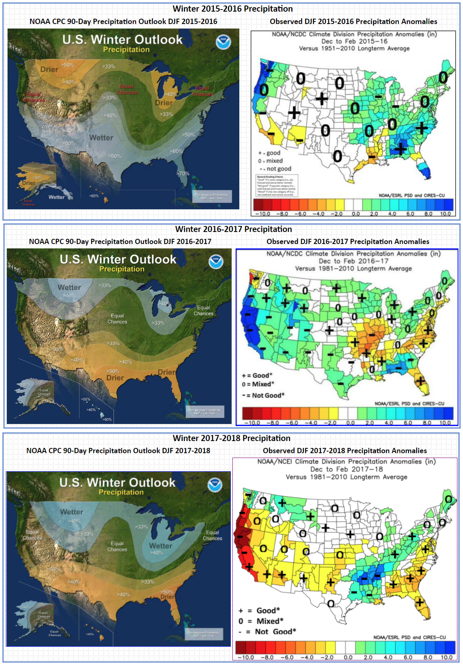 With the latest NOAA 2018-2019 Winter Outlook just released, here's how the previous three CPC Winter Precipitation Outlooks "verified". 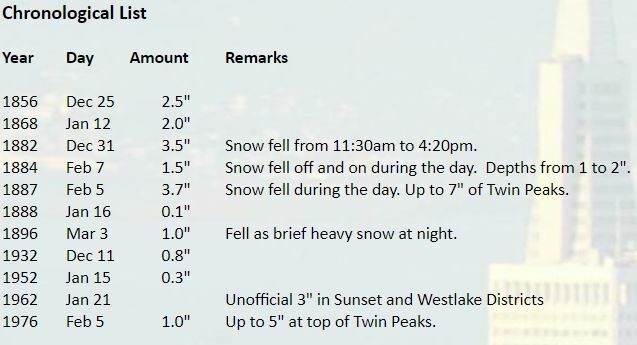 At least here on the West Coast they seem to have pretty much missed the mark. 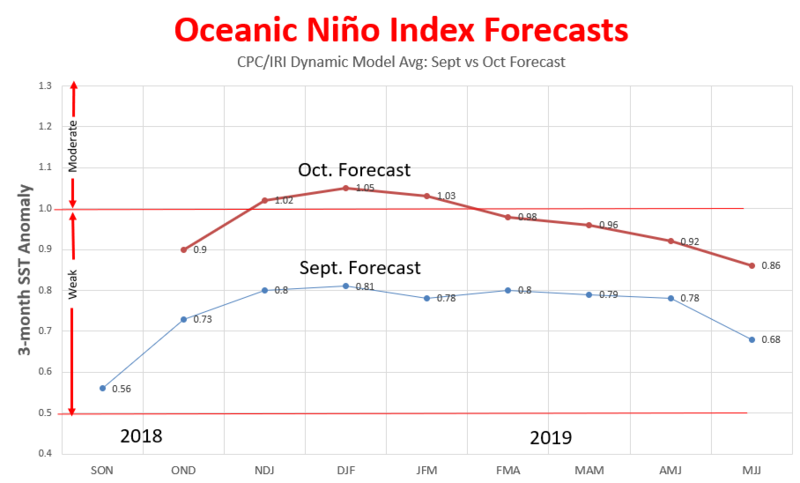 And the just updated IRI/CPC Oceanic Niño Index (ONI) forecast is significantly warmer than last month's; pushing the winter months into the moderate El Niño category. 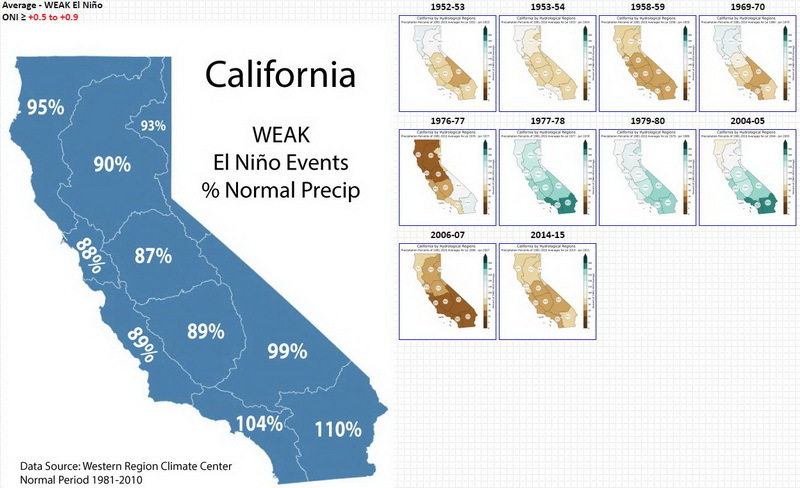 However, even in the moderate El Niño category there is still a large range of solutions and little predictive value. 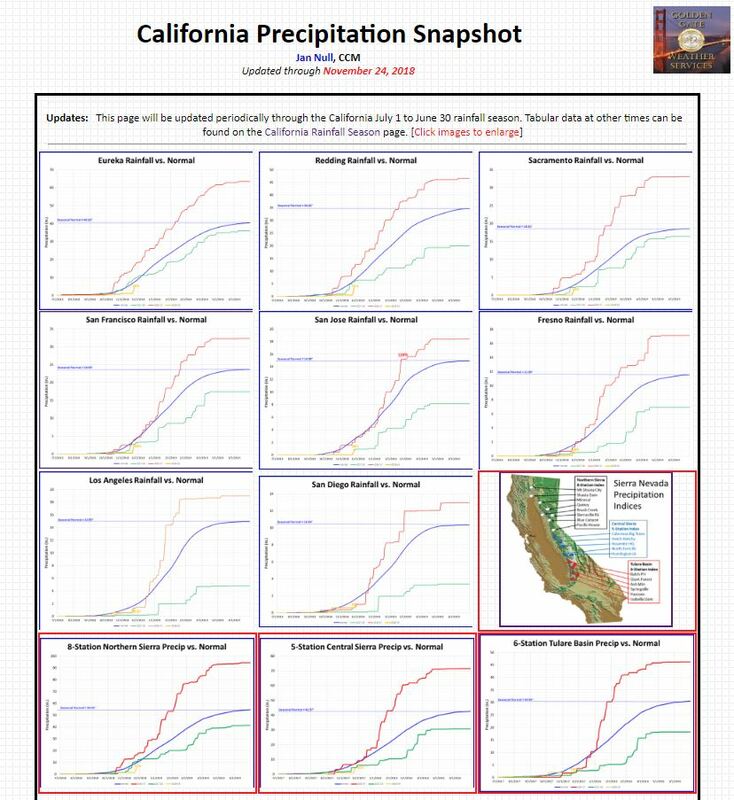 See https://www.ggweather.com/ca_enso/ca_elnino.html for the California and https://www.ggweather.com/enso2016/us_elnino.html for the US.